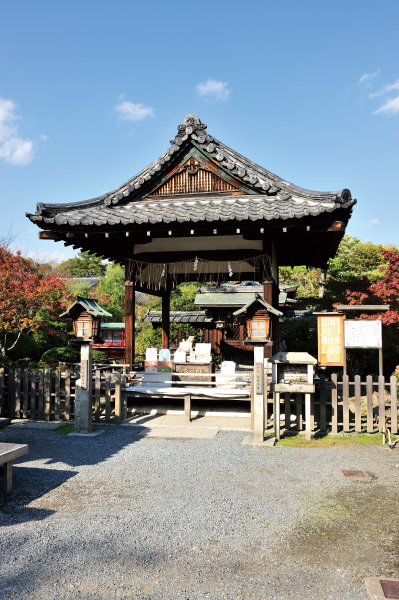 About 1200 years ago, only 10 years after establishing the capital in Nagaoka-kyo, the then Emperor Kanmu decided to move the capital again to avoid misfortunes happened next by next. 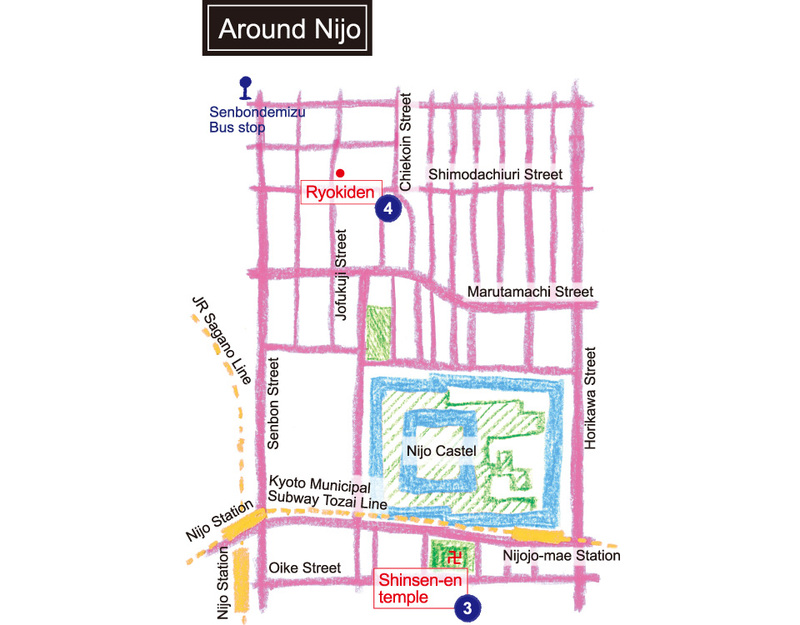 The name of the new capital, which was built in the center of today’s Kyoto city, was “Heian-kyo.” The main street of Heian-kyo was called Suzaku-Oji and this is the present Senbon-dori street. 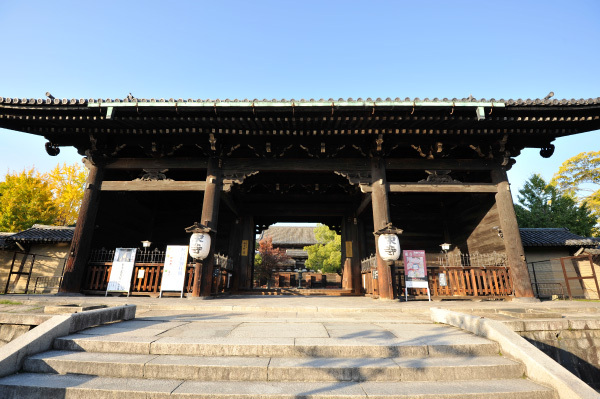 This time, we will take you to the Senbon street area where you can visit some of the famous sightseeing spots whose origin dates back to the Heian period (794-1185/1192) when Heian-kyo was existed. 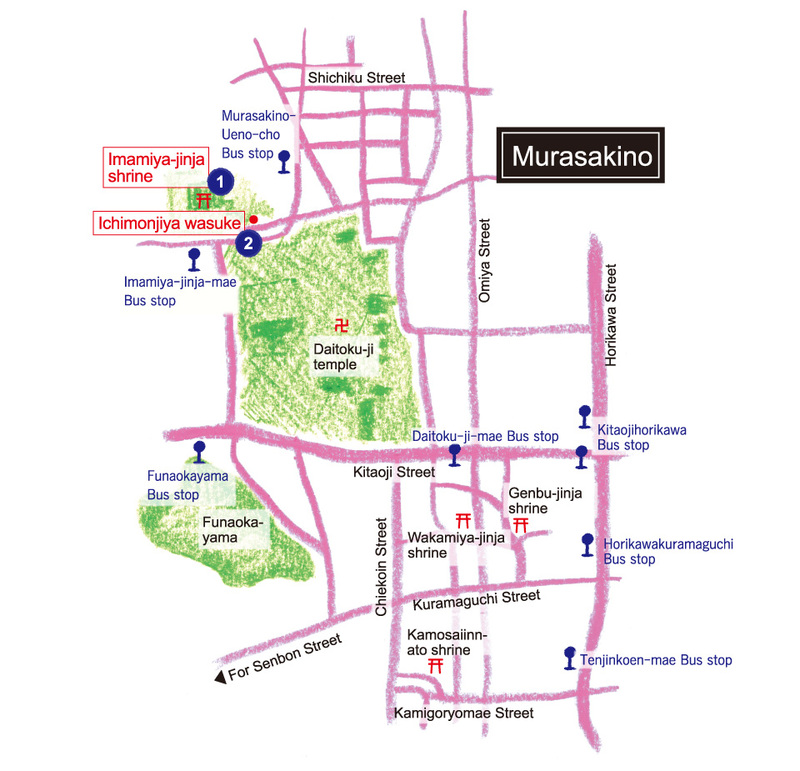 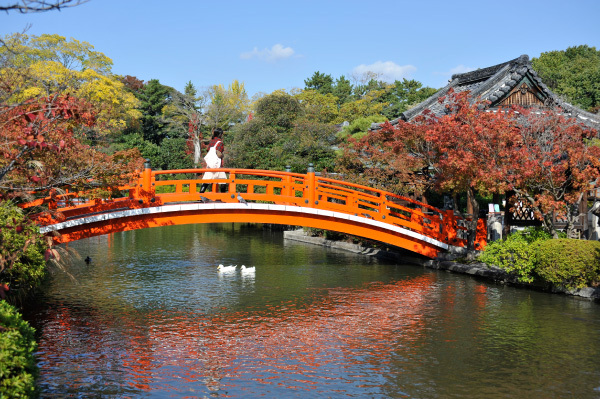 Visiting this area would entice you to visit the other attractions Kyoto has cultivated in its long history. 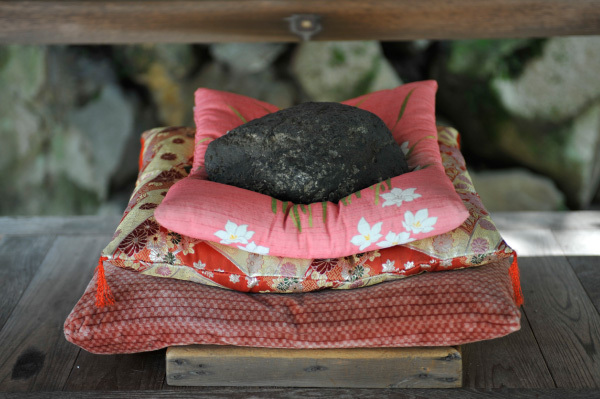 It has its origin in a Shinto ritual called a Goryo-e in which people prayed for the cessation of the epidemic. 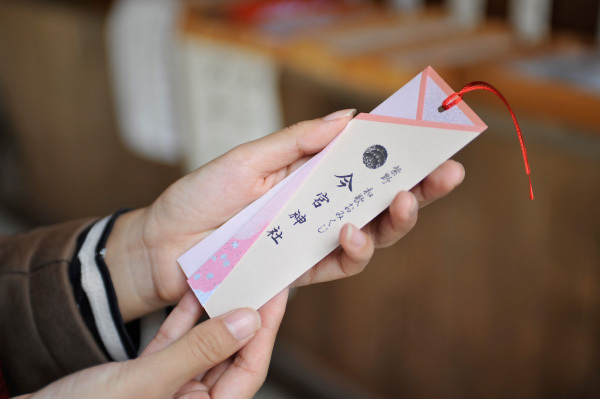 You can enjoy an Ahokashi-san stone or draw Waka-mikuji (sacred lot with a Japanese poem) to try your luck. 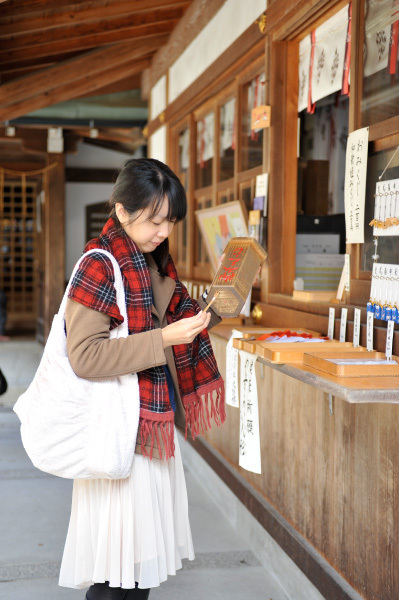 Located in front of the gate of Imamiya shrine, it has been in business there for more than 1000 years. 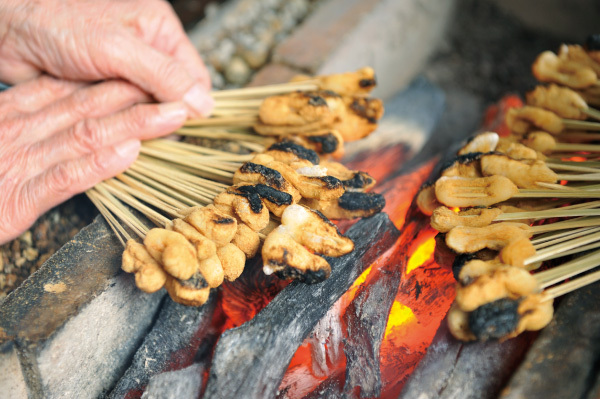 Aburimochi (charcoal-roasted rice cakes served with a sweet white miso sauce), a specialty of this shop, is believed to have the power to protect people from epidemics. 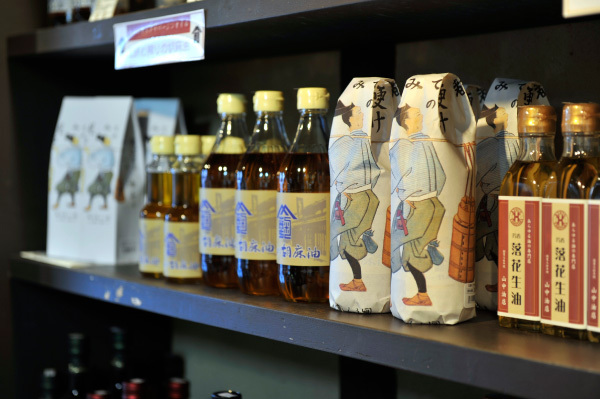 The historic atmosphere of the shop may make you feel as if you have stepped back in time. 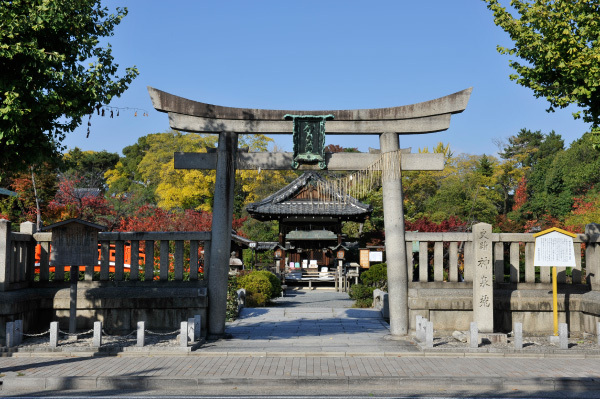 Closed:Every Wednesday, on the 1st and 15th of each month but when a holiday falls on a closed day, it is open on that day but closed the next day. 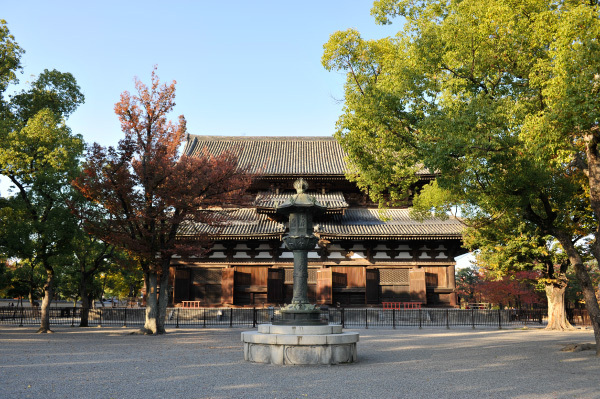 In the Heian period, it was the Imperial garden but now it is a temple of the Shingon sect of Buddhism. 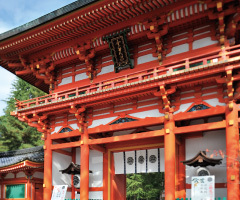 It is believed that if you pay a visit to the shrine crossing the vermillion colored bridge, your wish will be granted. 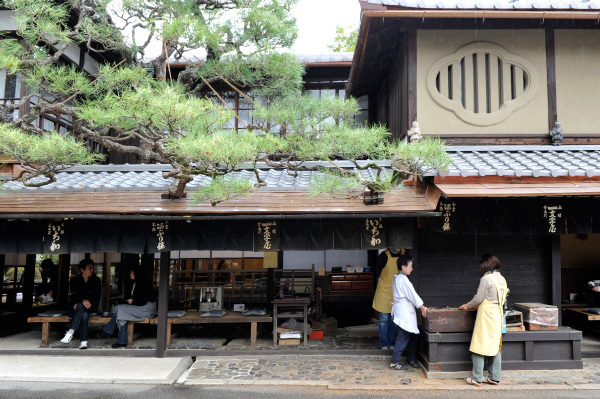 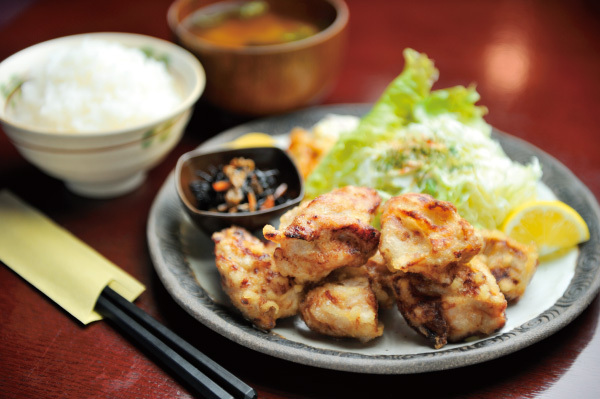 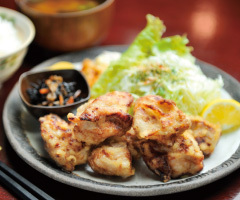 The name of the restaurant comes from Ryokiden palace which used to be in a corner of the old Imperial Palace. 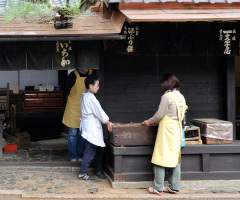 Set meals cooked with a specialty oil from a long-established oil shop is very popular among both men and women. 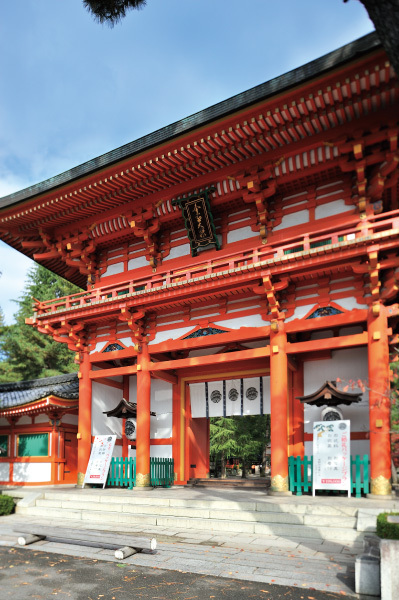 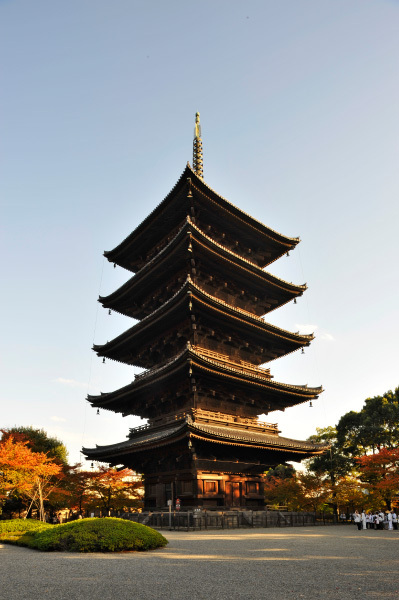 It has been designated as a UNESCO World Heritage site with its five-storied pagoda, a landmark of Kyoto. 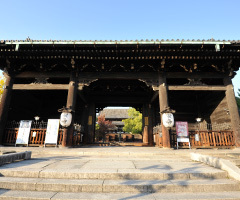 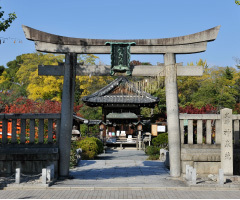 It was founded as a state-sponsored temple to protect Heian-kyo. 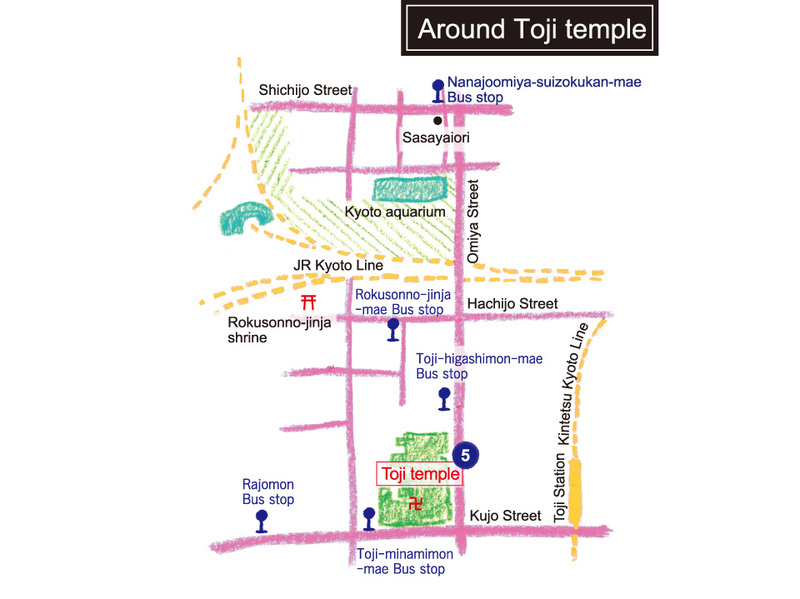 This information is correct as of December, 2012.